For other uses, see Gloriana (disambiguation). Gloriana, Op. 53, is an opera in three acts by Benjamin Britten to an English libretto by William Plomer, based on Lytton Strachey's 1928 Elizabeth and Essex: A Tragic History. The first performance was presented at the Royal Opera House, London, in 1953 during the celebrations of the coronation of Queen Elizabeth II. Gloriana was the name given by the 16th-century poet Edmund Spenser to his character representing Queen Elizabeth I in his poem The Faerie Queene. It became the popular name given to Elizabeth I. It is recorded that the troops at Tilbury hailed her with cries of "Gloriana, Gloriana, Gloriana", after the defeat of the Spanish Armada in 1588. The opera depicts the relationship between Queen Elizabeth and the Earl of Essex, and was composed for the coronation of Queen Elizabeth II in June 1953. Several in the audience of its gala opening were disappointed by the opera, which presents the first Elizabeth as a sympathetic, but flawed, character motivated largely by vanity and desire. 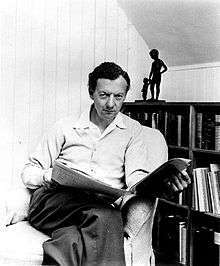 The premiere was one of Britten's few critical failures, and the opera was not included in the series of complete Decca recordings conducted by the composer. However, a symphonic suite extracted from the opera by the composer (Opus 53a), which includes the Courtly Dances, is often performed as a concert piece. On 22 November 1963, the composer's 50th birthday, Bryan Fairfax conducted a concert performance, which was the opera's first performance in any form since its inaugural production in 1953. When the production toured in 1954 to Manchester and Birmingham, Joan Sutherland sang the role of Penelope.The second staging of Gloriana was undertaken by Sadler's Wells Opera in 1966 with Sylvia Fisher in the title role. In 1973, at The Proms in London, a concert version under conductor Charles Mackerras was performed and recorded. Another eleven years were to pass before a recording appeared, that of 1984 under Mark Elder by the English National Opera. This production also toured to the United States in New York, New Orleans and Texas. Other productions of the opera in Britain have been undertaken by Welsh National Opera in 1992 and by Opera North in 2002. Central City Opera (in Colorado) presented the North American premiere production of the opera in 2001, starring Joyce Castle as Elizabeth I. The Opera Theatre of Saint Louis mounted the work in 2005, with Christine Brewer as Elizabeth I. The Royal Opera House in London presented a 60th anniversary performance, to celebrate both the anniversary and the centenary of Britten's birth in June-July 2013. Elizabeth and Cecil discuss the rivalry between Mountjoy and Essex. Cecil warns Elizabeth about the threat of another Armada from Spain and cautions her that it would be dangerous to show too much affection to the impulsive Essex. After Cecil has gone, Essex himself enters and sings to the Queen to take her mind off political problems. He asks her to let him go to Ireland to counter the rebellion led by the Earl of Tyrone. He grows impatient when the Queen shows reluctance, and accuses Cecil and Walter Raleigh of plotting against him. Elizabeth sends him away and prays for strength to rule her people well. Essex has been sent to the Tower of London. Cecil, Raleigh and other councillors try to persuade the Queen to sentence Essex to death, but she is reluctant. Alone, she muses on her continued fondness for Essex. Lady Essex, Lady Rich and Lord Mountjoy arrive to beg for mercy for Essex. The Queen treats the gentle Lady Essex kindly and reassures her that she and her children will not suffer. However, she becomes angry when the proud Lady Rich implies that the Queen needs Essex to rule effectively. Elizabeth refuses to listen to further entreaties and signs Essex's death warrant. Alone again, she reflects on her relationship with Essex and her own mortality. ↑ "Dame Joan Sutherland / Richard Bonynge". National Library of Australia. Retrieved 8 June 2008. 1 2 Information on operadis-opera-discography.org.uk "This appears to be a recording of a concert performance given at a PROM in the Royal Albert Hall, London on 2 September 1973"
Blyth, Alan, "Review: Gloriana", Gramophone, December 2006.